Can't I find funders on my own for free? There are ways to find funders on your own, but the learning curve can be steep and the best methods often do cost money. Learning what keyword searches to do, which corporate departments might handle giving, how to read a 990 tax form, etc. takes time and experience. One of the most helpful sources for locating grants are state and national foundation databases, which often are not accessible for free and if they do have a free version it is usually weak. For example, a subscription to the Foundation Center's Foundation Directory Online starts at $195 and goes up to $1,295--and you have to do all the work yourself! With Dream Big Fundraising your organization essentially has access to those same resources PLUS someone to do all the work for you PLUS all the additional benefits of membership (depending on what tier you choose): consultation, marketing materials, question-answering, proofreading and editing, and grant writing. We've done okay finding money on our own, why should we pay someone now? Dream Big Fundraising's goal is to make it possible for your organization to reach its full potential. Organizations that choose Dream Big aren't satisfied with "okay" fundraising results, believe their nonprofit can go further, and are curious to see what potential there is for increasing their impact and exceeding their goals. Oftentimes when a person is too close to an issue to be objective and too overworked filling multiple roles it can be impossible to grow an organization's vision, see new possibilities, and lay out a path for achievement. Dream Big removes those obstacles, opens up the horizon, and helps your nonprofit go far beyond "okay". Why are services offered for a flat fee? My goal is to be transparent and approachable and I believe a flat fee contributes to those goals. With many consultant-type services a potential client has no idea what the cost of service will be until they take the step to contact the provider, and then they are often disappointed to find out the service is beyond their means. With most purchases in life--from groceries to hotel stays to cars (at least to an extent!) --a consumer knows the cost upfront and I see no reason why Dream Big Fundraising should be any different, because we all know that cost is ultimately a major deciding factor. My clients deserve to know what they are paying for and how much it will cost, and, because the costs are reasonable, there's no reason to hide. 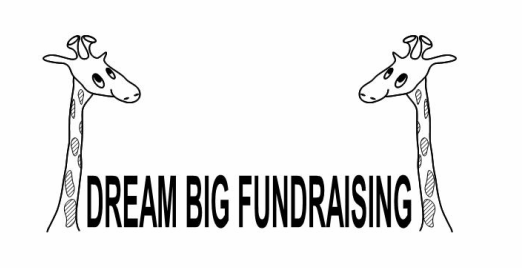 Can Dream Big Fundraising be trusted with my organization's money? Yes, definitely and I am glad to provide you with recommendations from previous employers (private sector, quasi-governmental, and governmental) that attest to my honesty, integrity, and the quality of service I provide. I am also happy to visit your location to speak in person prior to your membership registration or, if your location is too distant, speak via phone or video chat. You feeling comfortable with your decision to choose Dream Big Fundraising is my top priority.